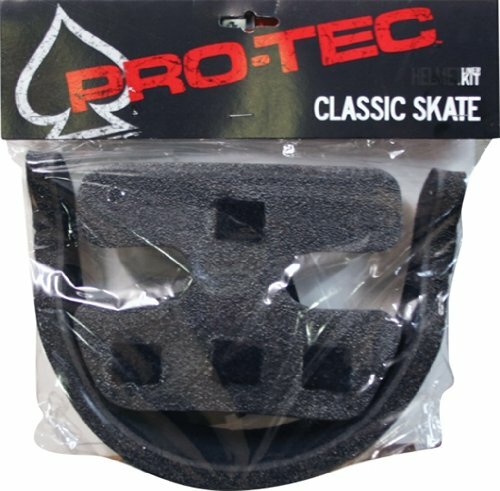 The classic skate helmet from PROTEC original keeps things light with a comfortable, protective two-stage soft foam liner that's great for attacking skate parks, halfpipes, or even your backyard pool! offering timeless skate style and Backed by four decades of protective gear design knowhow, this classic skate helmet features a tough ABS helmet exterior shell and a dual-density foam liner that rebounds to its original shape after low impacts. It also includes 11 Large vent openings to help heat Escape and keep your head cool during intense use, soft nylon webbed straps that are easy to adjust, comfortable interior padding, an EVA crown pad, and stainless steel rivets. Ideal for skateboarding and a broad range of action sports. Founded in 1973, PROTEC original continues to deliver the very best in modern protective equipment with a broad range of impact technology for a variety of action sports -- skateboarding, snow sports, bicycling, water sports, and more. There's only one choice when it comes to looking for the best action sport helmet around - the Pro-Tec Classic Certified Skate Helmet! This professional quality helmet for skating and biking delivers on 40 years of listening to skaters all over the world and using the latest technology to create the greatest protection available. With an ABS hard outer shell and EPS inner foam liner, the wearer can shred in confidence knowing that this helmet will absorb those hard, fast impacts for maximum protection. A plush wrap on the liner wicks away moisture to prevent dripping sweat on the wearer, allowing greater focus and comfort, while 11 large vents improve flow-through air channeling to keep the wearer cool during intense activity. This helmet is Certified, meaning it meets and passes independent safety standards for skate and bicycle helmets. Small size helmet fits head circumference of 21.3-22.0 inches (54-56cm) and includes an adjustable chin strap for optimal fit. Helmet comes with 1 year warranty. 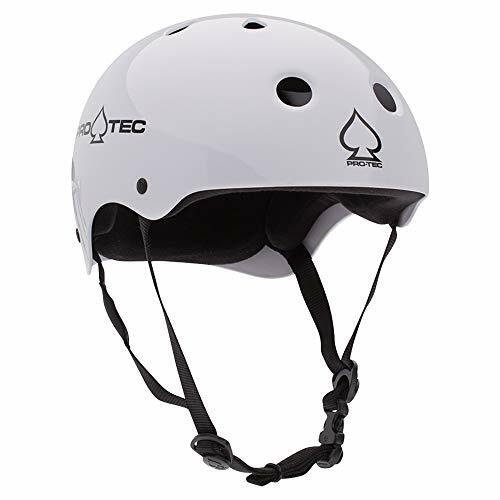 One of the best action sport helmets around and a consistent top choice by skaters everywhere, the Pro-Tec Classic Skate Helmet will defend against the bumps and falls that happen while shredding it in the skatepark! 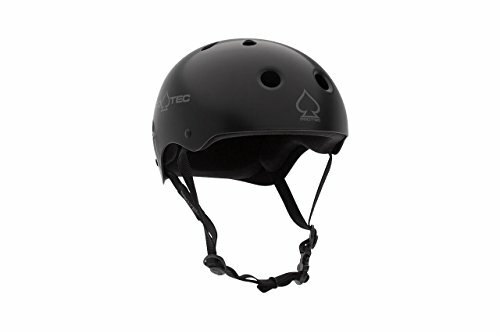 This professional quality helmet for skating and other action sports delivers on 40 years of listening to skaters all over the world and using the latest technology to create the greatest protection available. With a high-density, injection-molded PE shell and 2-stage inner foam liner, the wearer can be confident that this helmet will absorb low impacts with ease. A plush wrap on the liner wicks away moisture to prevent dripping sweat on the wearer, allowing greater focus and comfort, while 11 large vents improve flow-through air channeling to keep the wearer cool during intense activity. Large size helmet fits head circumference of 22.8-23.6 inches (58-60cm) and includes an adjustable chin strap for optimal fit. Helmet comes with 1 year warranty. Proven protection, proven style. 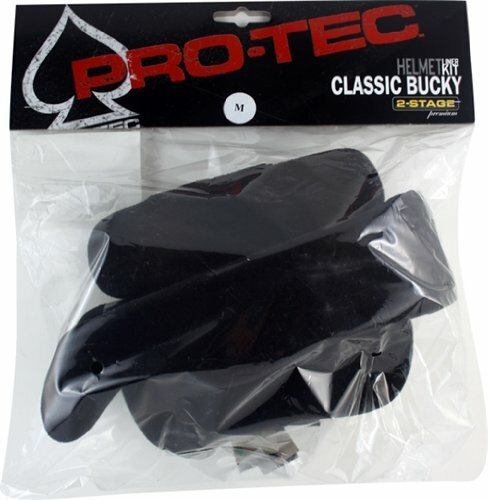 The Pro-Tec Classic Certified helmet is a team favorite across every sport. It features our most durable high-impact ABS shell, EPS liner with compression molded pads, 11 open vents, and a wide array of styles to find your perfect fit. 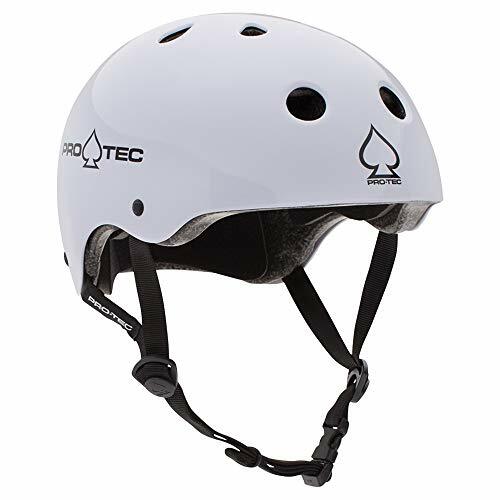 All Pro-Tec certified helmets are tested to meet ASTM 1492/1447 for multiple impacts, CE EN1078, CPSC 1203 and AS/NZS 2063:2008. Available in sizes XS, S, M, L, XL, XXL. 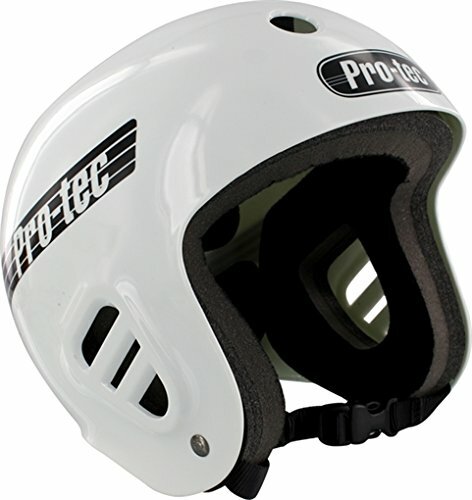 Pro-Tec Full Cut Classic Helmet White [Small] - This is the original 1970s skate helmet that became the most recognizable helmet of all time, featuring Classic ear protection styling, a soft 2-stage foam liner, stainless steel hardware, and soft tubular webbing. Bring back the good vibes of the 70s by rockin the full cut. 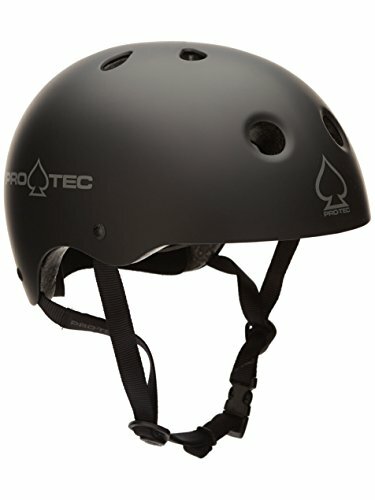 PRO-TEC Classic 2-Stage Liner Black Skateboard Helmet - Small / 20.6" - 21.3"
PRO-TEC B2 SXP Liner Gloss Black Skateboard Helmet - (Certified) - Small / 20.6" - 21.3"